Ellesmere Port, Monday 4th September 2017: As the home of the Vauxhall Astra, Ellesmere Port has been making the Brit-built car for almost 40 years. 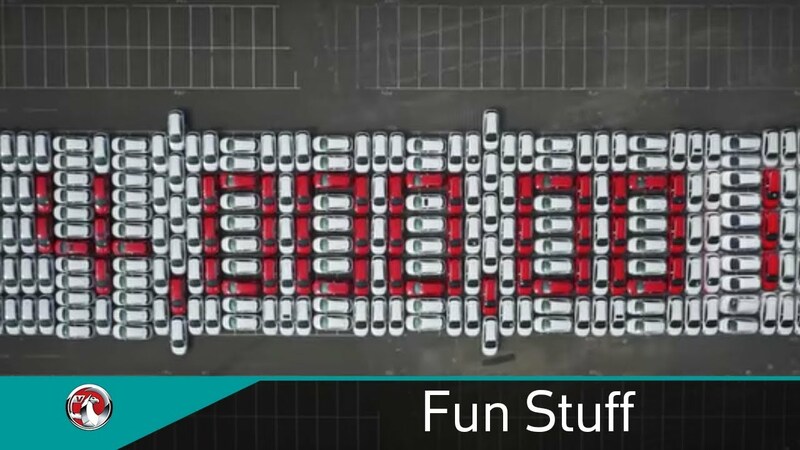 And today, proud employees marked the landmark moment the 4 millionth car rolled off the production line with a choreographed display of 236 Astra Sport Tourers to spell out the feat. The celebratory image, which took 12-hours, 57 red and 179 white cars to assemble, spelled out the achievement in Astra’s trademark red, honouring the thousands of employees who have contributed to the momentous milestone. Ellesmere Port has produced all seven generations of the famous Astra, exporting over two million vehicles to 25 European markets and even Australia in the early years. Today it employs nearly 2,000 people and many more depend on it in the supply chain as it builds approximately 680 Astras a day.